Commenting on recent developments on the Syrian battleground, analyst Stanislav Tarasov told Radio Sputnik that the counterterrorist tactic in Syria is currently changing, which will soon lead to the complete defeat of Daesh. Russian warplanes destroyed a Daesh convoy that was heading towards Syrian Deir ez-Zor, the Russian Defense Ministry reported Monday. Over 200 Daesh militants and over 20 vehicles carrying large-caliber weapons, as well as armored vehicles, including tanks were destroyed in the strike. Stanislav Tarasov, a political analyst and specialist in Middle East studies, told Radio Sputnik that Daesh’s days in Syria are numbered. 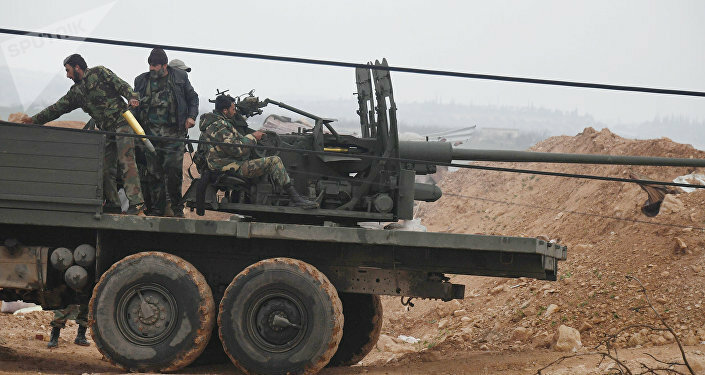 "The tactic of fighting Syrian terrorists is changing. The offensive continues in Raqqa. 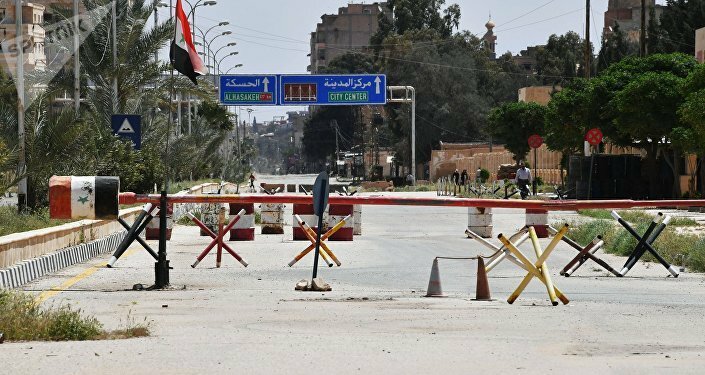 Previously, terrorists could withdraw from the besieged city via special corridors towards Deir ez-Zor. Their current attempts to turn Deir ez-Zor into an undefeatable fortress are doomed to fail. This is because the Syrian Army backed by the Russian Aerospace Forces has taken the lead on the battlefield," Tarasov said. The expert assumed that the complete defeat of Daesh terrorists on Syria’s soil will take several months. "The terrorists are agonizing. Their defeat is a matter of a few more months. Previously, for example, the United States predicted that the fight against Daesh could take years. Now, we can see that the military phase [of the Syrian crisis] is replacing with the phase of political and diplomatic settlement. The forces will be defined that will decide on Syria’s future. In particular, there have been reports that a meeting will soon be organized in Riyadh to work out the principles of the Syrian settlement," Tarasov said. Recently the Syrian Army liberated the town of As-Sukhnah in the Syrian province of Homs, which was considered to be the key to Deir ez-Zor, the final Daesh stronghold in Syria. Moreover, the Syrian Army has recently been encircling a large group of Daesh militants in the town of Akerbat in eastern Hama. The liberation of Akerbat is also expected to pave the way for further offensives by the Syrian Army, including on Deir ez-Zor. On Friday, the Russian Defense Ministry said that Syrian government forces are advancing on the besieged city of Deir ez-Zor from three directions. "Currently, Syrian government forces are rapidly unfolding an offensive on Deir ez-Zor from three directions with the support of the Russian Aerospace Forces. … The foothold around this city [Deir ez-Zor] is the last major stronghold of terrorists on Syrian soil. The remaining [terrorist] forces have been transferred there," Col. Gen. Sergei Rudskoy, the chief of the Russian General Staff's Main Operational Directorate, said. According to Rudskoy, the liberation of Deir ez-Zor area besieged by Daesh would result in the defeat of the main terrorists’ forces. Deir ez-Zor, located on the shores of the Euphrates River to the northeast of Damascus, and a military airfield near the city have been besieged by Daesh for over three years, with food and ammunition only being delivered by air. Syria has been engulfed in a civil war for over six years with the government troops and their allies fighting against numerous opposition factions as well as terrorist groups such as Daesh and al-Nusra Front (Jabhat Fatah al Sham).